"Courteous Informative Kept Me Up To Date What Was Happening"
"Worked Quickly And Fixed Problem In 15 Minutes"
"Good Communication And Friendly !" "Very Pleased, Frank Was A Gent, Polite, And Explained What He Was Doing. Good Job." 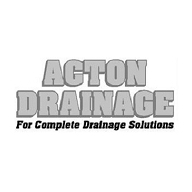 Need a Plumber or Drainage Engineer in Preston?